The empty lawn was transformed into this. 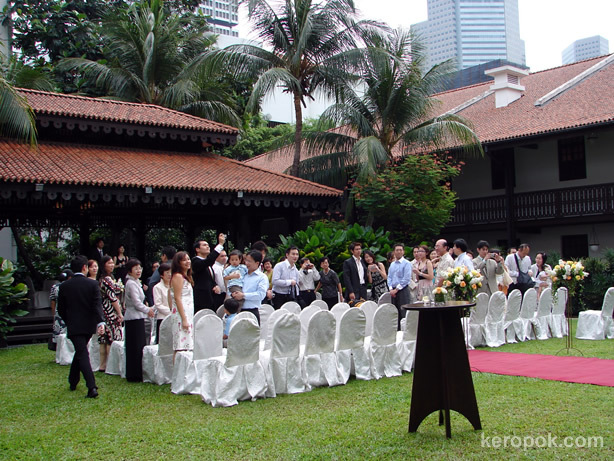 Beautiful white chairs and handsome men and pretty ladies all taking a seat under the hot singapore sun. The beautiful bride and the handsome groom. Charles & Elaine. best wishes to the new couple! and dont forget the lantern festival!! What a lovely setting to get married in! 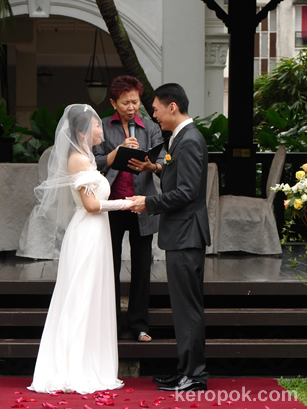 oh, congratulations to the newly-wed! This is a great place to celebrate it!